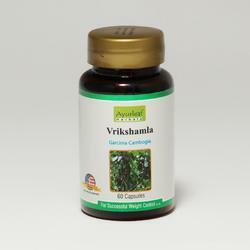 Our line of natural health supplements helps you maintain perfect body shape. This implies you''ll enjoy a toned, solid appearance, and a more effective digestion system. Our exceptionally composed formulation help to control appetite. They restrain the body''s ability to store calories as fat, and they help keep up energy and vitality. We also have a Scientific Advisory Team that altogether performs weight reduction research and health improvement plans. 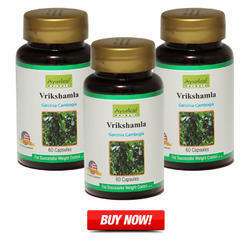 We are the leading and prominent Manufacturer, Exporter, Wholesaler and Service Provider of Weight Loss Capsule. Dosage: As recommended by the physician along with the regular diet and exercise. The diet can be taken as per the dosha chart with the ideal weight depending on the age of the person. It contains 7 exclusive herbs that promote Slimonil Herbal Weight Loss Capsules for Men weight loss by burning away the fat. It has Medohar Guggulu 250 mg, Vidang (Embelia Ribes) 50 mg, Vijayasar (Pterocarpus Marsupium Stick) 50 mg, Punarnava (Borhavia Diffusa) 50 mg, Rudrajata ( Aristolochia Galanga) 25 mg, Pippalimul (root of piper longum) 25 mg. It contains 7 exclusive herbs that Herbal Weight Loss Slimonil Women Capsules promote weight loss by burning away the fat. It has Medohar Guggulu 250 mg, Vidang (Embelia Ribes) 50 mg, Vijayasar (Pterocarpus Marsupium Stick) 50 mg, Punarnava (Borhavia Diffusa) 50 mg, Rudrajata ( Aristolochia Galanga) 25 mg, Pippalimul (root of piper longum) 25 mg. 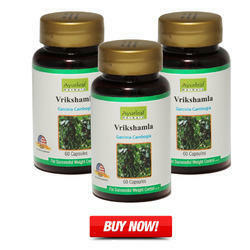 It contains 7 exclusive herbs that Weight Loss Medicines promote weight loss by burning away the fat. It has Medohar Guggulu 250 mg, Vidang (Embelia Ribes) 50 mg, Vijayasar (Pterocarpus Marsupium Stick) 50 mg, Punarnava (Borhavia Diffusa) 50 mg, Rudrajata ( Aristolochia Galanga) 25 mg, Pippalimul (root of piper longum) 25 mg. 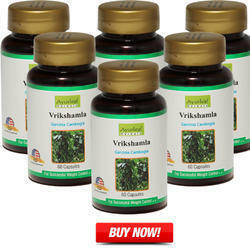 It contains 7 exclusive herbs that promote Weight Loss Products weight loss by burning away the fat. It has Medohar Guggulu 250 mg, Vidang (Embelia Ribes) 50 mg, Vijayasar (Pterocarpus Marsupium Stick) 50 mg, Punarnava (Borhavia Diffusa) 50 mg, Rudrajata ( Aristolochia Galanga) 25 mg, Pippalimul (root of piper longum) 25 mg.
As a medical herb it is also called Garcinia Indica or Garchinia. The fruit is ideal for making cooling syrups during the summer months. Description: This remedy has an active compound called (-)-Hydroxycitric acid [(-)-HCA]. It can stimulate the weight loss by suppressing the fatty acid synthesis, lip genesis. It has anti-glaciation activities. Benefits: Obese patients are recommended this remedy. When stubborn visceral fat needs to be removed the physician recommends this medicine. Dosage: 2 Capsules twice a day after meals. If the patient is taking any other medication there should be a gap of an hour between this remedy and other medication. This tablet is hard to swallow; hence children under the age of 14 should not be given this remedy. Avoid junk food, frequent eating when on this remedy. Avoid over use of this remedy.